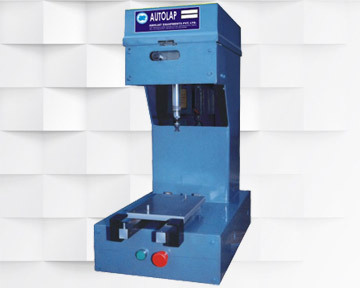 The Autolap -1, Autolap -2, Autolap -4 and Autolap -6 valve lapping machines are the first of its kind in India. This machine provides major technological break-through in valve lapping operation of Internal Combustion Engines. It greatly improves the accuracy and productivity. Sometimes Valve Lapping Operation is done manually and has following major drawbacks. Auto lap machine besides mechanizing the operation will overcome all the drawbacks that are associated with Manual Lapping. Due to simultaneous Lapping of 4 or 6 valves at a time at optimum lapping speed, production rates as high as 5 to 6 times can be achieved with remarkable degree of consistency. The operational simplicity of the machine enables use of unskilled labour. All these factors result in considerable reduction in Operational cost. Abhijat has also developed Lapping Machines for lapping of steam / chemical flow control valves, Lapping of Cylinder Heads of marine engines, railway engines.